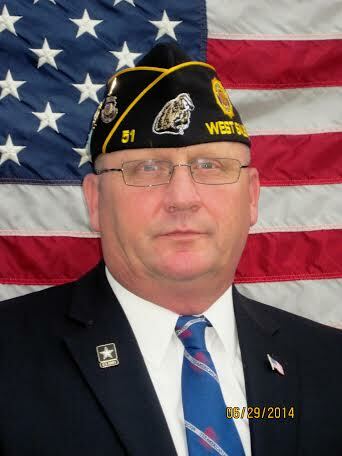 Hello, my name is Vern Tranberg and I have been serving as Commander since June 2014. I was raised in Blair, WI and was blessed to come from a large family of 15 children. In 1982, I joined the military and was married the next year. Since 1999, I have lived in West Salem with the love of my life, Wendy and one son, Kyle. During my military career, I spent 12 years as an Army Recruiter and retired in 2003. I was employed at the Homeless Program at the Tomah V.A. for one year and currently, I am employed with the State of Wisconsin, in the Office of Veterans Services, working with Veterans who need assistance finding employment.